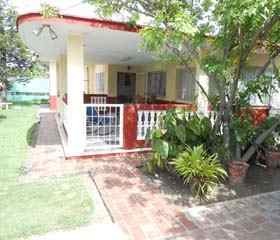 Hostal El Pino is a beautiful residence that is in an excellent place for travelers who want to know Cienfuegos. Due to its central location, you can easily walk to several tourist attractions or to the historical center of the city. 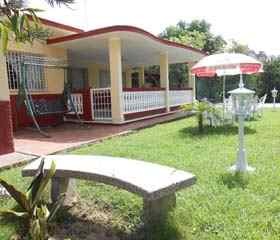 Our hostel is located just 200 meters from the cienfueguero boardwalk, 400 meters from the beautiful “Paseo del Prado”, Cuba's longest. From various points of the house you will have full access to the hostel's WIFI so that you can communicate with your family and work. The house has parking for up to three cars. The most important thing is that you as a guest feel at ease, with privacy and always well attended by our family with whom you will have direct contact. Spaces: The house has two private rooms in the modern style with access to WIFI, two spacious and air conditioned rooms with private bathroom inside the room, work area with laptops, large dining room, a beautiful covered and outdoor terrace with tables to share in Family or enjoy the excellent cocktails of the house, in addition to having access to the Internet through the WIFI of the home. 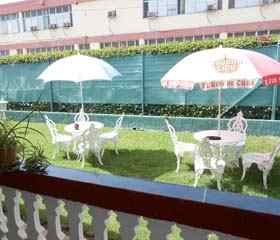 Bedrooms: Hostal El Pino has 2 fully air-conditioned rooms. 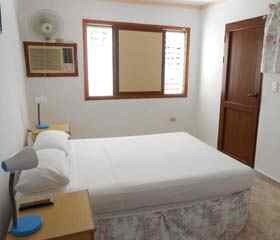 Room 1: Triple room with a double bed and personal, windows, air conditioning, fan, refrigerator, clothes locker and travel suitcases, hangers, umbrella, exclusive private bathroom for guests, towels, central heater, cold water And hot 24 hours. 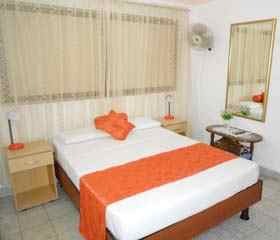 Room 2: Double room with a double bed, windows, air conditioning, fan, refrigerator, clothes locker and travel bags, hangers, umbrella, exclusive private bathroom for guests, towels, central heater, hot and cold water 24 hours. Owners: We offer a personalized service, we are attentive to every detail and willing to offer the best of us, we will guide you to the best tourist places and sites of historical and cultural interest of the city, to guarantee an unforgettable stay. Kitchen: Our kitchen offers you numerous recipes of the house and Creole and international food. Free Arrival: Hostal El Pino offers reception 24 hours a day, on arrival the hosts will give you the keys to the house and the rooms. How to move: Only two blocks from our house is located the bus stop, Bicitaxis and Taxis. 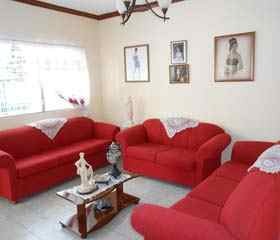 Services: We offer laundry service, cocktail, excursions, taxi service, lunch for excursions, massage, diving, guide service in English and Italian language and Spanish language classes, continuity of hostels in other provinces. Nuestro hostal está ubicado en un barrio tranquilo con calles amplias para caminar, las fachadas de las casas son bonitas y coloridas, con jardines en las entradas llenos de plantas que ambientan el lugar. A pocos metros de la casa puede disfrutar de inolvidables puestas de sol en el malecón cienfueguero, ademas de poder recorrerlo y sentarse a leer o conversar. Our house is located in a quiet neighborhood with wide streets to walk, the facades of the houses are beautiful and colorful, with gardens in the entrances full of plants that set the place. A few meters from the house you can enjoy unforgettable sunsets on the jetty, as well as being able to walk around and sit or read or talk.